Why Doesn’t Dynamic Pricing Make Sense for Electricity Customers? It does. Messaging is the problem. Every day, we spend money on products that are priced based on how in-demand they are. Phone plans give free nights and weekends. Airplane tickets are more expensive during holidays. Sports tickets go up when the team's arch-rival is in town. When it comes to electricity pricing, however, the idea of costs shifting throughout the day or year “does not make sense” to the majority of people polled in a new survey by EcoAlign, a marketing agency focused on energy and the environment. About one-third of the 1,000 people surveyed thought dynamic pricing did make sense, with savings being the biggest driver. 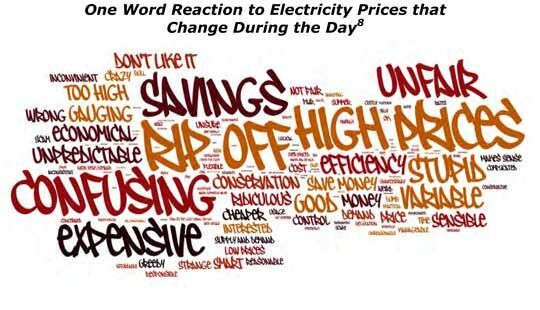 But glancing at a word cloud shows that the strongest associations were that dynamic pricing is a rip-off, confusing, unfair and expensive. The survey shows that utilities have a long way to go, but there are various ways to introduce dynamic pricing with training wheels, as Ahmad Faruqui of The Brattle Group often advocates. EcoAlign’s survey echoed findings from other consultants and experts. Forty-one percent of people wanted pricing that came with credits for reducing energy use during certain hours of the day. Another 28 percent said they’d prefer time-of-day rates, with fixed pricing for specific hours of the day. Respondents wanted assurances that their bills wouldn’t go up, while others wanted technology such as smart thermostats to help manage use if they enroll in programs. The survey also built on what should already be obvious: all people are not the same. Segmentation is badly needed in the utility sector when creating new programs. Older adults were most likely to shift energy use to save money. Women were more likely to take action on energy efficiency tips than men. It is possible to have successful, voluntary time-based pricing programs. We are starting to see more utilities revamp critical peak rebate or dynamic pricing programs, including Oklahoma Gas & Electric, Baltimore Gas & Electric and Sacramento Municipal Utility District. Salt River Project has had a popular dynamic pricing program for decades. 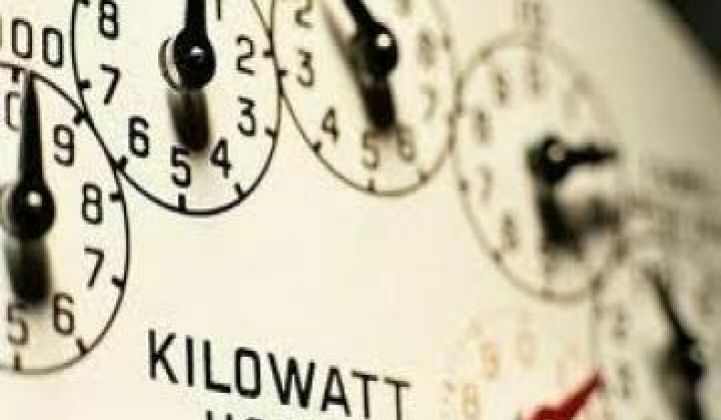 With smart meter data and a renewed effort to target residential peak demand, a few years from now, varied electricity pricing plans could make a lot more sense to the average person than they do today.